Jack Kirby's red T-Rex is returning to comic book stores featuring this time an awkward and brilliant prodigy in Lunella Lafayette for Marvel's Moon Girl and Devil Dinosaur. Moon Boy from the original series will return for a spell mostly in flashback but the creative team of writers Amy Reeder, Brandon Montclare and artist Natacha Bustos is hoping to fill a void for young readers while still appealing to readers of all ages according to editors Mark Pannicia and Emily Shaw. This post-'Secret Wars' title also presents an opportunity for creative freedom with an older and obscure property while at the same time broadening the appeal of the book with a girl of color as its lead. The diversity also carries over to the talent behind it. 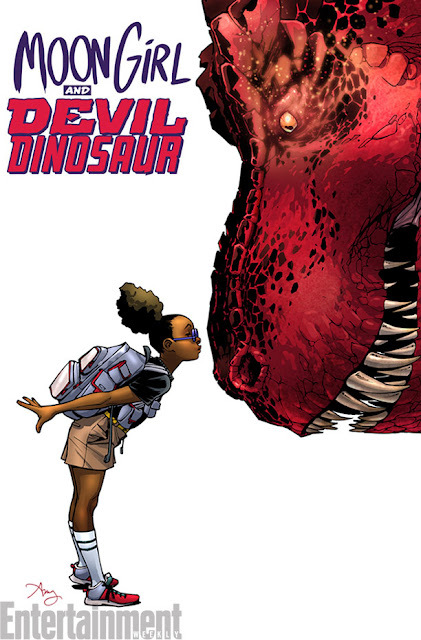 Despite Marvel's efforts to diversify their comics both on the page and behind the scenes, they've stumbled expressing exactly how they'll do that. It's lead to some awkward and condescending discussions from Marvel but they have made strides with characters like Kamala Khan as Ms. Marvel and Miles Morales as Spider-Man. Unfortunately, it hasn't always carried over to the creative teams. 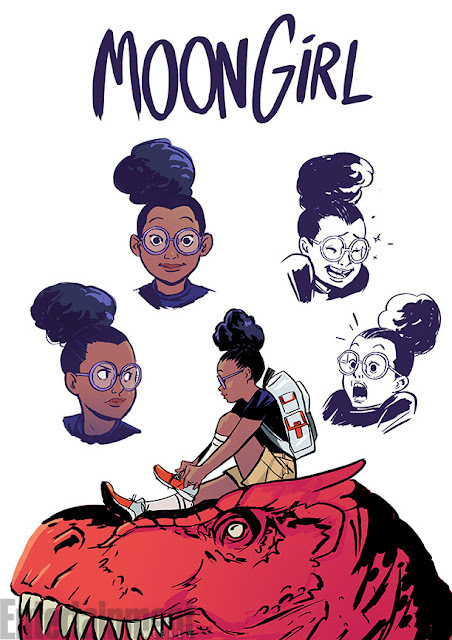 The team behind 'Moon Girl' is an exception and representation is something that isn't lost on Bustos.